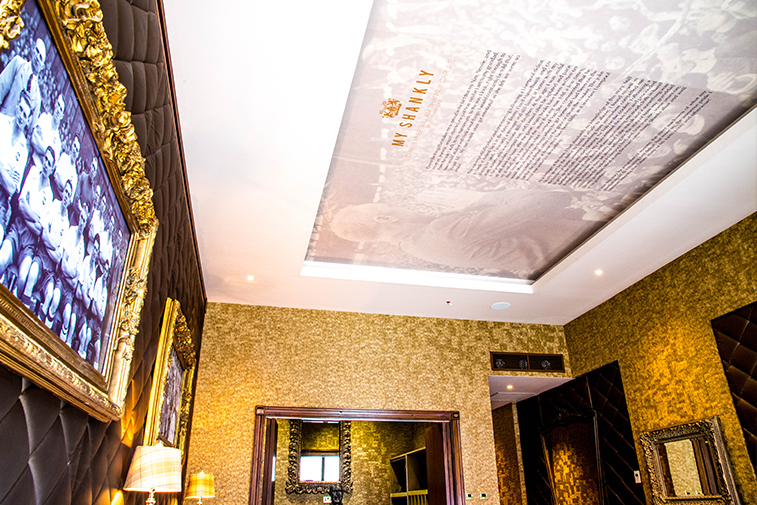 The Shankly Hotel, and the endeavours that bear the Shankly name exude an aroma of grandeur. However, this aura was serviced via his formative experience in the RAF and the backing of his beloved wife, Nessie. So, just how did Shankly’s RAF tenure shape Liverpool. Agnes Wren Shankly; or ‘Nessie’ as she was affectionately know to those who encountered the woman who Bill Shankly lovingly regarded as his “greatest ever signing,” was amid the 180,000 homemakers who enrolled in the Women’s Auxiliary Air Force in 1939. Nessie, alongside her husband, was amongst a plethora of civilians who wanted to “do their bit,” as the patriotic posters exclaimed. The RAF Corporal – who would go onto manage Carlisle United, Huddersfield Town and, eminently, Liverpool – met, and subsequently married Agnes in Glasgow in 1944; a choice he never regretted. It is undeniable that Shankly’s stoic self-confidence and Agnes’ patience blossomed during their stretch at Bishopbriggs. Indeed, despite a famous anecdote in which her husband of barely 24hours accompanied her to a Preston North End reserve match, Nessie rarely ventured into what she considered her husband’s domain. She was, undoubtedly, the sincerity behind the legend. This “bastion” which Shankly quotably described, shared a myriad of characteristics with the regiment in which he served, be it confidence, selfishness or the preparedness to “run through a brick wall and come out fighting on the other side,” a maxim he often repeated. These combative tropes were on view for the entire nation to appreciate as Shanks’ squad, which included future icons such as Tommy Lawrence – who, due to his nourished physique was nicknamed the “flying pig” – and Ian St. John, lifted aloft the 1965 FA Cup in an era when the final was the only game to be televised completely live. Liverpool had displayed Nessie’s distinctive patience and her spouses unwavering strength to overcome Don Revie’s Leeds United, a team that would become a recurring adversary, and win their first of many trophies under the Glaswegian. Revie’s Leeds were synonymous with the Yorkshire mindset: tough, abrasive and hardworking – words usually reserved for Liverpudlians and, more specifically, Shankly’s squad. Shanks’ smugness was indicative of a man who neither drank nor smoked, exercised regularly and, remarkably, survived The Second World War as part of what is perhaps the toughest regiment in history with the ever-present, ever-patient Nessie in tandem. Blazoned across numerous RAF insignia is the motto: “Through Adversity to the Stars.” This maxim, although devised one year before his birth in 1912, could have been written for Bill Shankly himself. Because of his previous endeavours, be it Shankly’s RAF conscription or his relationship with Nessie, he was able to haul an abject Liverpool squad out of the second division and into the stars. We’ve hope you’ve enjoyed our look into Bill Shankly’s personal life and how it shaped his time as Liverpool manager. 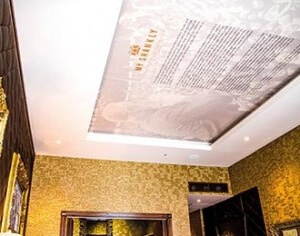 If you wish to delve deeper into the personal and professional life of the grandiose gaffer, look no further than the memorabilia covered walls of the unique Bastion Bar & Restaurant located within The Shankly Hotel. Keep up to date with everything going on at the hotel by following The Shankly Hotel Facebook. It’s been 39 years since Liverpool played FC Bayern Munich in the old European Cup. Liverpool, of course, went on to beat Real Madrid in the final in Paris that year in the wondrous Parc des Princes. Although this year’s final takes place in the ultra-modern Wanda Metropolitano Stadium in Madrid, the objective remains the same. So, with this in mind, we’ve decided to take a closer look at Liverpool’s historic, almost mystical relationship with the Champions League. When these two teams met in the final in Rome their paths to the Stadio Olimpico couldn’t have been more dissimilar. Liverpool had won their matches with relative ease while Udo Lattek’s men, on the other hand, had scraped their way to Rome. The ’77 final took place in The Eternal City only four days after Liverpool had lost the FA Cup Final to Manchester United at Wembley. Liverpool’s 3-1 win was the first time the club became European Champions, however, had it not been for their arch-rivals Manchester United, they would have also been the first team to win the treble; a feat United achieved 22 years later. Liverpool returned to the competition, on home soil, as champions in 1978 and faced first-time finalists Club Brugge – a team they had already defeated in the UEFA Cup Final in ’76. The final was a tense affair, yet the Reds broke the deadlock in the second half with a strike that went on to be known as one of the best in European history. Liverpool won the match 1-0 and became the first team in history to retain the European Cup. They did, however, lose the Super Cup to Anderlecht later in the year. Another year, and another final. On this occasion, Liverpool faced Real Madrid in the Parc des Prince. Liverpool and Los Blancos couldn’t be separated until the 81st minute when Alan Kennedy found the back of the net. The Red’s held on until the final whistle and won their third European Cup. Bob Paisley mirrored Liverpool’s success that year as he became the first man to win three consecutive European Cups with one team. Not for the first time had one strike secured Liverpool the trophy. Seasoned European champions by this point, their fourth European Cup final saw Liverpool take on Roma in the Stadio Olimpico in The Eternal City. Liverpool had won their matches with relative ease on their way to the final, while Roma’s journey was littered with controversy. It had been rumoured that the Italian’s had bribed the referee in the semi-final versus Dundee United. Despite Liverpool’s past performances, Roma were the favourites to win. Indeed, the match went to penalties. Liverpool won 4-2 on penalties, however, the star of the show was Bruce Grobbelaar who famously wobbled his limbs throughout the shootout. The South African ultimately set a precedent that would win Liverpool their 5th Champions League 21 years later. Liverpool barely scraped through the knock out rounds of the 2004/5 Champions League. After seeing off European competition in the knock out stages, Liverpool faced Chelsea in the semi-finals and scored what was dubbed the “ghost goal” by Chelsea manager José Mourinho, a strike that gave Liverpool a 1-0 lead to take them through to their sixth Champions League final. They would be facing six-time European Champions AC Milan, who were favourites to win and were quickly leading the match 3-0 before halftime. Liverpool pulled off one of their extraordinary comebacks in this all-important match and went on to score 3 goals in under six minutes. The match went to penalties. Liverpool triumphed thanks to a save from goalkeeper Jerzy Dudek against Andriy Shevchenko. Dudek famously imitated Grobbelaar’s goalkeeping style throughout the shootout. The game was nicknamed “The Miracle of Istanbul” and lasts long in the memory of many Liverpool fans as one of the best matches they’ve ever witnessed. And, because this was the 5th time Liverpool had won the Champions League, they were allowed to keep the trophy. Liverpool went on to face AC Milan again in the 2006/7 final but lost. Old opponents Chelsea knocked Liverpool out of the running in both 2008 and 2009 and then, in 2010, Liverpool failed to qualify for the competition for the first time since 1999. It wasn’t until 2015/16 that the team managed to get back to Europe’s top table and reached the Europa League semi-finals against Villarreal. The match sparked yet another comeback that saw Liverpool fight back from 1-0 down to win 3-1 on aggregate. After this win, Liverpool had once again made it into the final and went up against Sevilla at St. Jakob-Park in Basel but lost 3-1. The Red’s went on to face Real Madrid in the 2017/18 Champions League final but lost 3-1. As they did 39 years ago, Liverpool have made it into the next round after a 3-1 win over Bayern Munich. 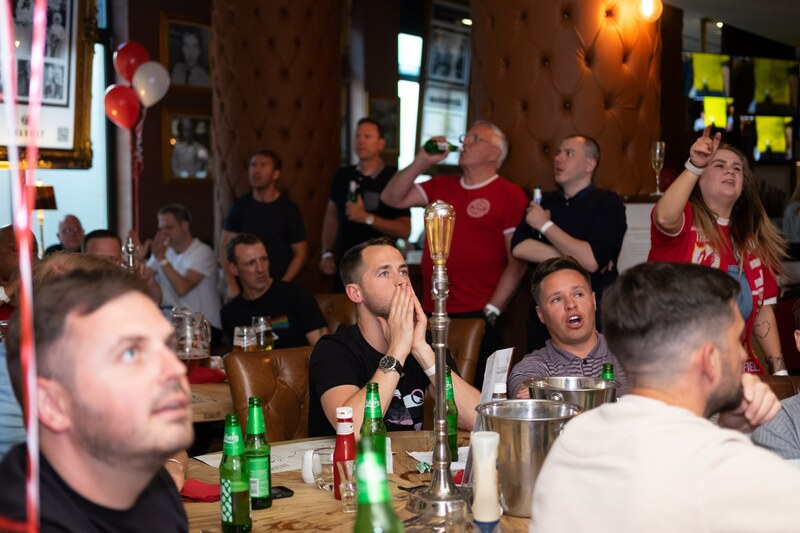 Moreover, at The Bastion Bar and Restaurant within The Shankly Hotel, every time Liverpool take to the field the action is screened on our enormous monitors, evoking an electric atmosphere that can’t be matched anywhere else. The Champions League Club even lets you earn loyalty points for every game you attend. In return, you’re provided with exclusive access to unbeatable rewards, be it weekend stays in our luxurious football-themed rooms or unprecedented access to unseen Liverpool merchandise. So, whether you want to watch the match or book a stay in one of our spectacular football-themed rooms, our friendly team can’t wait to hear from you on 0151 236 0166 or email reservations@shanklyhotel.com. Also, follow us on Facebook for loads of Liverpool and hotel updates. 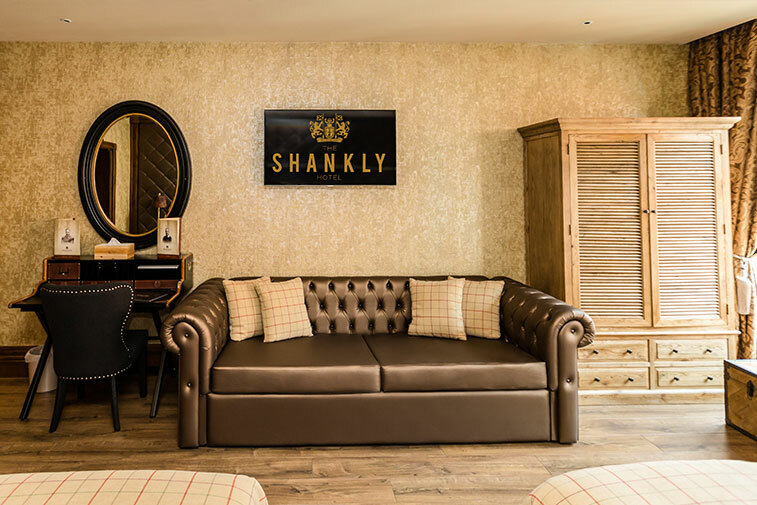 If you’ve booked a Shankly Hotel party room, you are in for a great stay in Liverpool from the moment you walk into The Shankly Hotel reception. From check in to check out The Shankly Hotel and our staff are dedicated to giving guests a one of a kind unforgettable hotel experience in Liverpool. We do things differently so that you’ll remember your stay with us forever. So, here’s a rundown of what you can expect when staying in a Shankly Hotel party room, from check in to check out. Upon arrival, you will be greeted by some colourful characters in the foyer of The Shankly Hotel, ready and waiting to meet and greet guests staying in a Shankly Hotel party room. 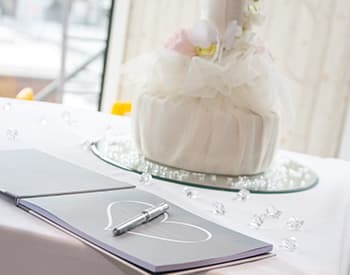 As part of our Party Room Packages, the lucky bride to be or birthday person will be offered their favourite drink on arrival whilst you wait to meet your guest relations team member. The team member will confirm the details of your stay in your Shankly Hotel party room and be your contact throughout your stay. After checking in you’ll be directed or shown to your chosen Shankly Hotel party room which will be everything you dreamed of and more. Your guests will be blown away by the unique décor and facilities, now its time to truly let the celebrations begin. A number of fantastic pre-booked surprises could be waiting for you in your room all set up in advance of your parties arrival. 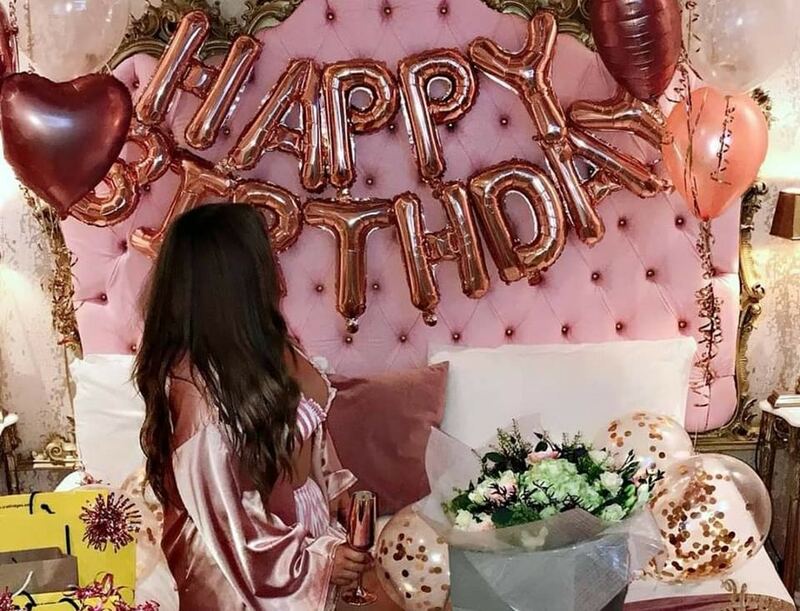 This can include personalised cupcakes, chilled prosecco, beers, spirits and mixers not to mention any additional decoration such as balloons and banners. 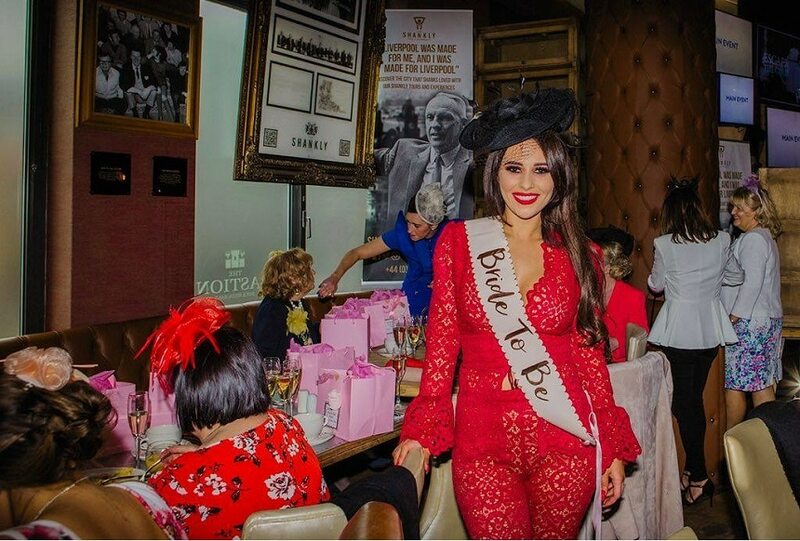 Our Shankly Hotel party room packages are ideal to surprise a birthday boy or girl or bride or groom to be and our packages are guaranteed to get your party started in style. Once you and your party are settled in and ready to get things underway, make your way downstairs to The Bastion Bar and Restaurant. 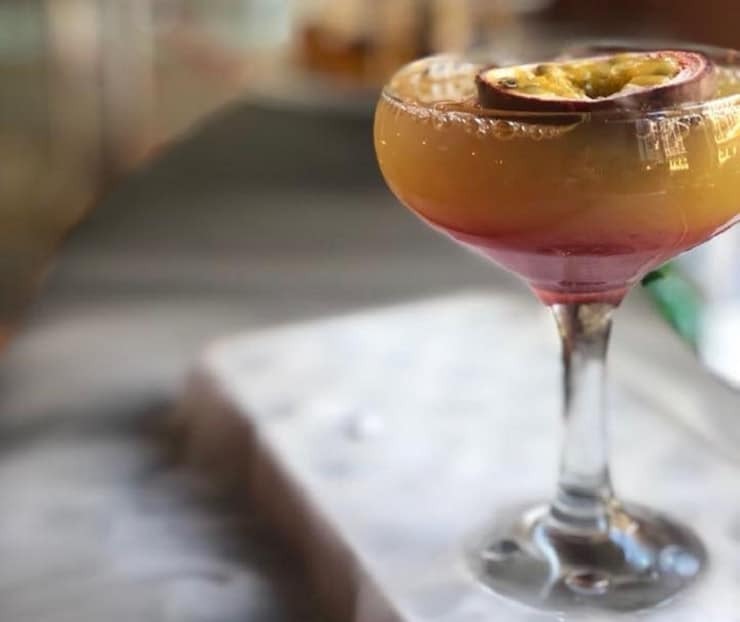 Here you can enjoy the buzzing atmosphere and live entertainment on weekends and you and your guests can enjoy a few drinks and a marvellous meal before heading out into the bustling city centre nightlife. Just a few moments walk will take you into the heart of Liverpool city centre where you can sample some of the very best bars and clubs that are practically on your doorstep. Mathew Street, Concert Square and The Ropewalks are thriving during the weekend and you’ll find them with ease from The Shankly Hotel. 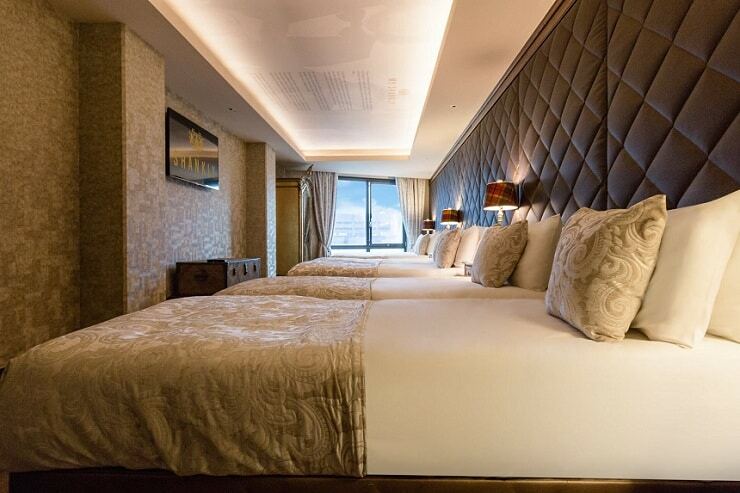 After a long night partying in the city or in your Shankly Hotel party room, you and your guests can enjoy staying together in utter comfort and luxury. Take a dip in the double whirlpool bath and get snuggled in for the night in any one of the huge double beds where you can watch a film on the large flat screen TV or sit together and have a chat about the night and the weekend ahead. On the morning of your stay, you are welcome to enjoy a delicious selection of breakfast delights served in The Bastion Bar and Restaurant. Choose from continental options such as cured meats, cheeses, a variety of pastries, fresh bread, jams and preserves or opt for the classic belly bursting full English. Endless tea and coffee will get you ready for the day ahead, whether that’s exploring the city’s top landmarks and culture, a spot of retail therapy or the journey home, a breakfast in The Bastion Bar and Restaurant is guaranteed to fill you up until lunch. 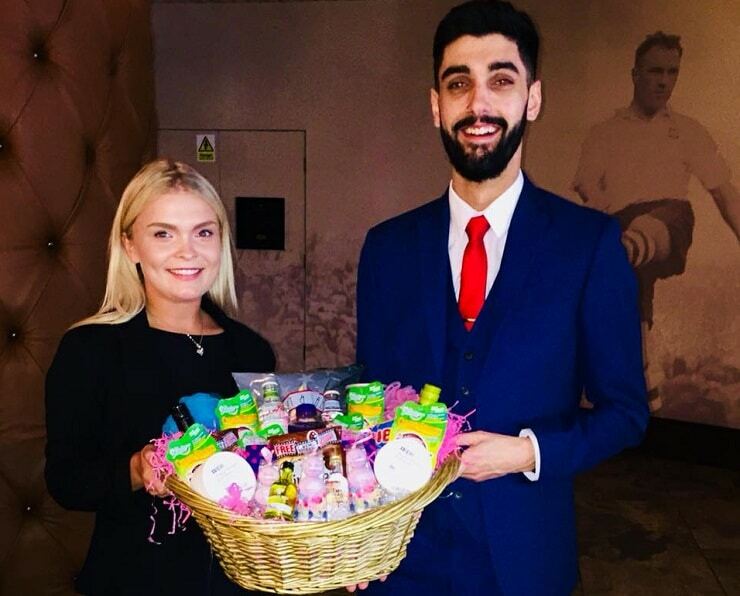 If you are not quite up for breakfast, a bit worse for wear from your night out in Liverpool, the thoughtful staff at The Shankly will direct you to their recovery hamper stocked full of everyone’s favourite hangover cures. We know you’ll love your stay in a Shankly Hotel party room so much you’ll never want to leave but all good things must come to an end. There’s even an option to leave your luggage with the team so you can spend as much time in Liverpool as possible before departing. We simply love hearing about what you’ve been up to whilst staying with us, as do our social media followers so tell us everything you’ve enjoyed during your time at The Shankly Hotel and we’ll be sure to share it with future potential guests. From start to finish a stay at The Shankly Hotel focuses one tailoring one of a kind experiences to each of our guests. We want your stay to be unique and personalised as well making it a memorable celebration for you and your guests. Book your stay with us in any Shankly Hotel party room to guarantee you and your guests have an amazing experience in Liverpool from check in to check out. Call 0151 601 8801 or email info@signatureliving.co.uk today. Join us at The Shankly Hotel and get ready to say ‘cheers’ to all your hard work paying off. 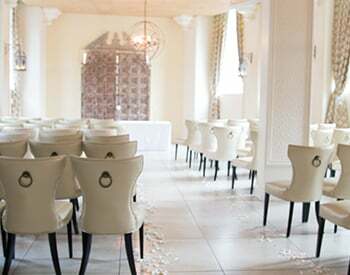 Our unmissable graduation deal includes everything from a luxury stay and your graduation meal to celebratory touches. Rooms at The Shankly Hotel offer a stylish fusion of contemporary and classic style. 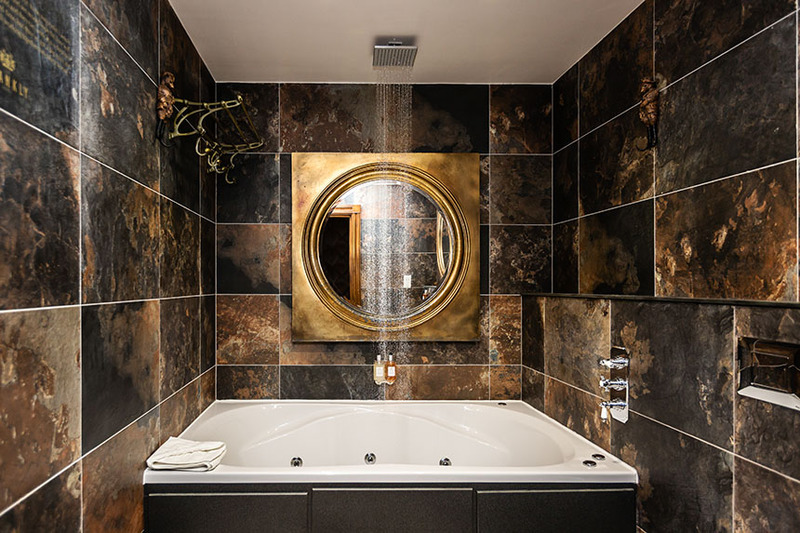 Amenities include a double whirlpool Jacuzzi bath, 50″ TV screen, Bluetooth and free WiFi. 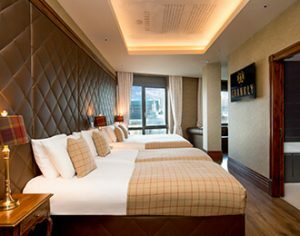 Our fabulous graduation deal can also be applied to Signature Suites at The Shankly Hotel. 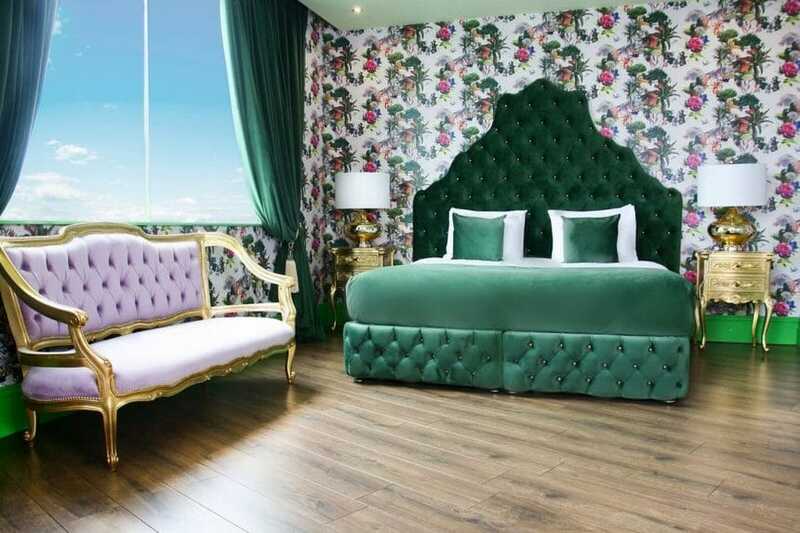 One of the latest of our rooms and suites is the stunning LMAO suite.Sleeping up to 6 guests, this stylish spot is one of the most colourful and creative rooms within The Shankly Hotel. Perfect for hosting graduation parties with your uni girls, the ethereal suite is designed in a blend of of lilacs, pinks and greens and finished with our signature gold detailing. Plus, you can make the most of your graduation celebrations with amazing amenities. This room includes three opulent double beds, twin copper baths, an en suite bathroom, TV, Bluetooth audio and WiFi. We know your graduation meal is one of the best bits of the day, especially after sitting through the long ceremony! It’s always a good idea to organise your graduation meal in advance to avoid disappointment. Our graduation deal incorporates a delicious 3 course meal, making your experience all the more smooth sailing. At The Bastion Bar & Restaurant, we serve everything from hearty, high quality meals to lighter bites, perfect for sharing with friends and family. 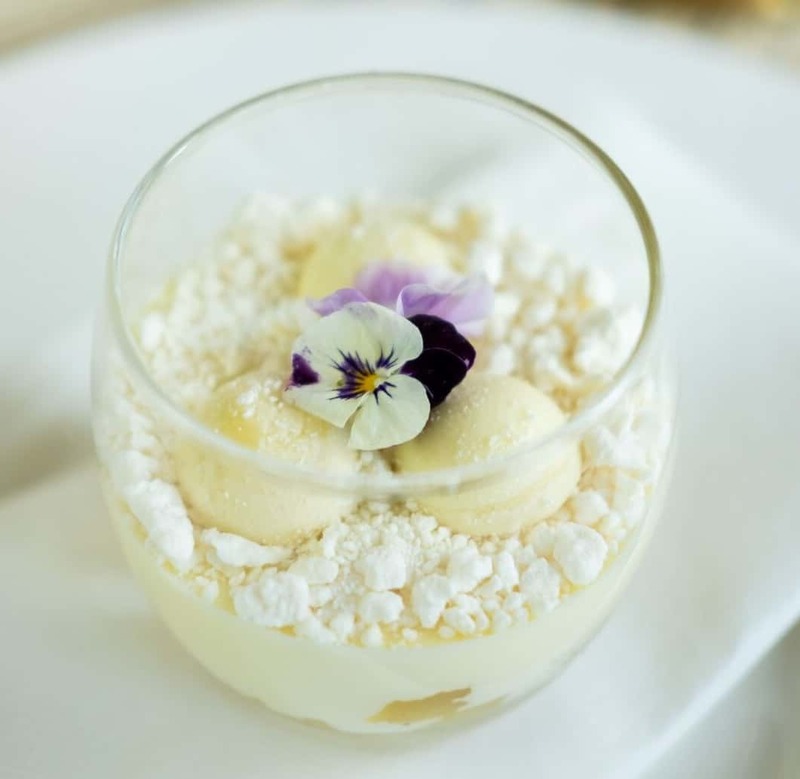 Our new summer menu offers a range of refreshing dishes and indulgent treats for one of the most special occasions of your life. Not forgetting, our menu intertwines flavoursome vegetarian dishes certain to hit the spot! The Bastion Bar & Restaurant is in keeping with the unique theme of The Shankly Hotel. You’ll discover exclusive Bill Shankly memorabilia, stories and photographs celebrating the life of the football legend. Overnight guests can also enjoy hidden gems around the hotel. The special theme fills the stunning building with character and charm that simply can’t be found elsewhere. For football fans and those simply looking to delve into Liverpool’s history, this is the perfect venue for an atmospheric experience. 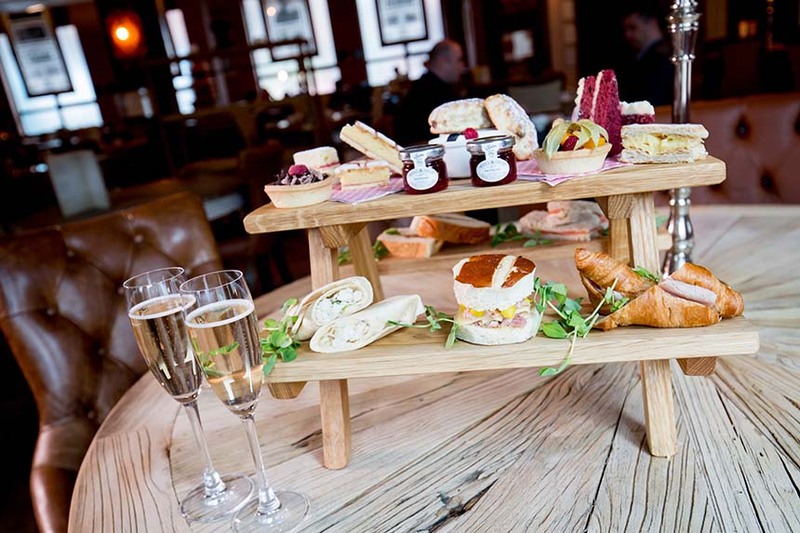 If your family don’t live in Liverpool, celebrating your graduation at The Shankly Hotel is a wonderful chance to showcase the best of Liverpool. 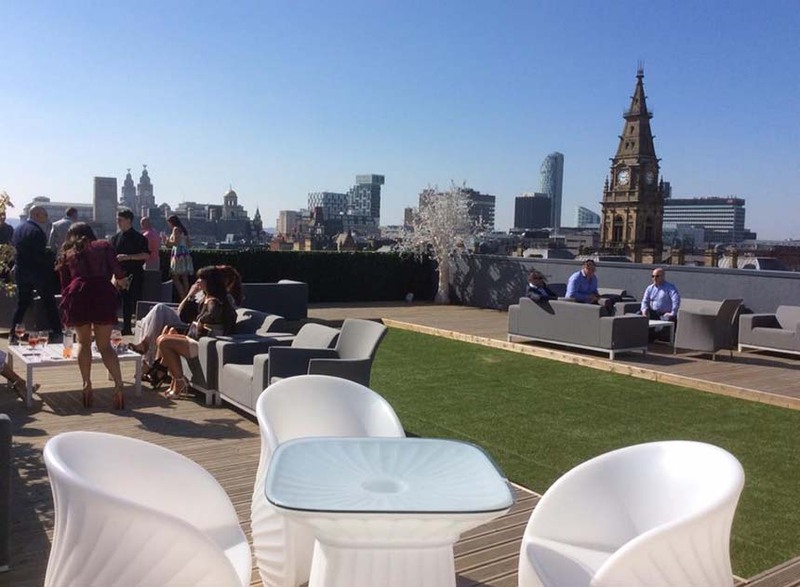 While celebrating your graduation with us, you can also make the most of the best rooftop bar in Liverpool. A hidden gem above The Shankly Hotel, Garden of Eden rooftop terrace offers the ultimate backdrop for your graduation photos. Showcasing panoramic views across Liverpool city centre, soak up the sun as you enjoy a summer cocktail. Perfect! 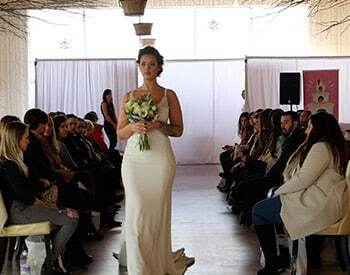 To enquire further or to book this amazing graduation offer in Liverpool, simply give our team a call on 0151 601 8801. Bring the family together this summer as Liverpool looks forward to another Liverpool Biennial. An event that gets the public, local businesses, artists and communities together to celebrate and appreciate art in all its forms. This year we’ve hand-picked some of the best family friendly days out in Liverpool that will help younger people get hands on and make a difference in the city and perhaps even brighten their artistic and creative futures. 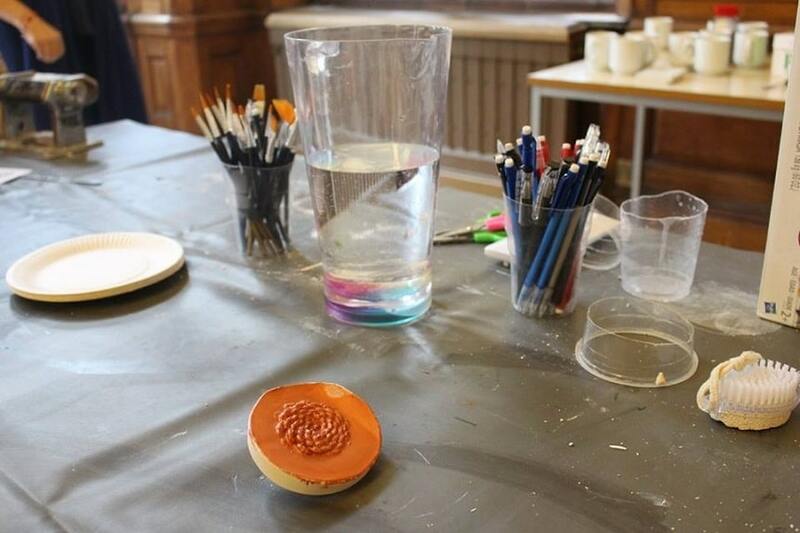 A wonderful free event will be hosted throughout July and August at the Victoria Gallery and Museum that will help the younger generation appreciate art both old and new. Led by a group of experienced artists, each session will encourage kids and grown-ups to explore their creative sides. Families will be invited to be inspired by the existing work on display in the museum and then create their own masterpieces together. Take the entire family along to discover one of Liverpool’s most interesting museums and art galleries with a new and exciting hands-on approach during Liverpool Biennial. In a digital age, we adults may feel like we’re falling behind as our young families plough forward enjoying and experiencing new technology before we even know it exists. FACT want to make sure these young people are given the tools to navigate the online and digital world safely by teaching them to become masters of what they are producing and posting. 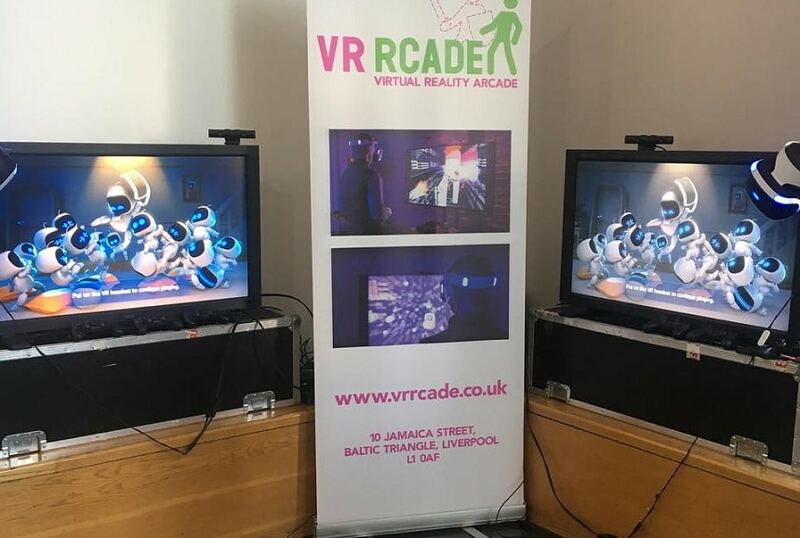 The VR (virtual reality) summer camp session promises to help families understand what goes into VR filmmaking and also gives lessons as to how to stay safe whilst having a positive online presence. Leaping into the future another summer camp session at FACT will invite young people to design, code and create their own AI. They will learn how to programme their creation as well as design the environment it lives in. Both of these events offer further chances for attendees to gain Bronze and Silver Art Awards with extra participation after the camp dates. Art certainly makes the world a beautiful place and it doesn’t get much more beautiful than the art of the natural world. For Liverpool Biennial artist Mohamed Bourouissa will be working with local Liverpool communities to help build and grow a communal garden in the heart of Toxteth. Families can pop along to lend a hand and learn more about the healing power of plants. The project was inspired by a garden Bourouissa encountered whilst travelling that was created by a patient who was undergoing therapy. The garden became a representation of the patient’s mind as he was able to organise his plants like his thoughts. On the 7th and 14th, July go and get muddy with the kids and help give the communities of Liverpool a piece of natural art that will grow and change with the seasons. Inspired by the behaviour of how things grow, Mae-ling Lokko’s art installation Hack The Root will form part of the tour Environments of a Beautiful World. 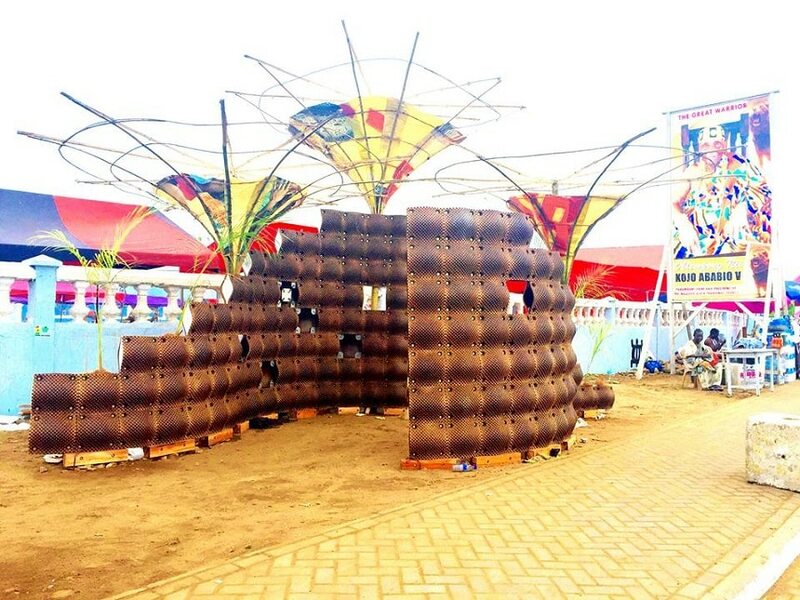 The artist has created a structure made from mushroom panels to promote the study of an alternative life cycle for living things. Instead of using material grown from a root-like lifeform that needs to use, move or drain other resources in order to survive, Lokko’s work shows how beautiful things can also be created without having destroyed first. Although an important message is at the focus of the work shown here, won’t it be fun to tell the kids that this sculpture is made from entirely from man-made fungus! Take you footy mad family to a football experience unlike any other on Liverpool’s Albert Dock this summer and hop onboard a floating football pitch to hone their skills with professional coaches. Everton in the Community and LFC Foundation have lent their coaches to teach essential soccer skills to those who simply love to play. The sessions are free and will take place between 11 am – 4 pm all summer long. Take the family for a kickabout with a difference during summer 2018. For fun and educational family days out in Liverpool during Biennial why not visit one of the city’s oldest buildings; The Bluecoat. Here visitors will be able to take part in a project guided by one of the participating artists of the Liverpool Biennial programme Ryan Gander. Your little ones will be given the chance to try their hand at sculpting, large-scale drawing and the fine art of den building which we know every kid enjoys (and most adults too). 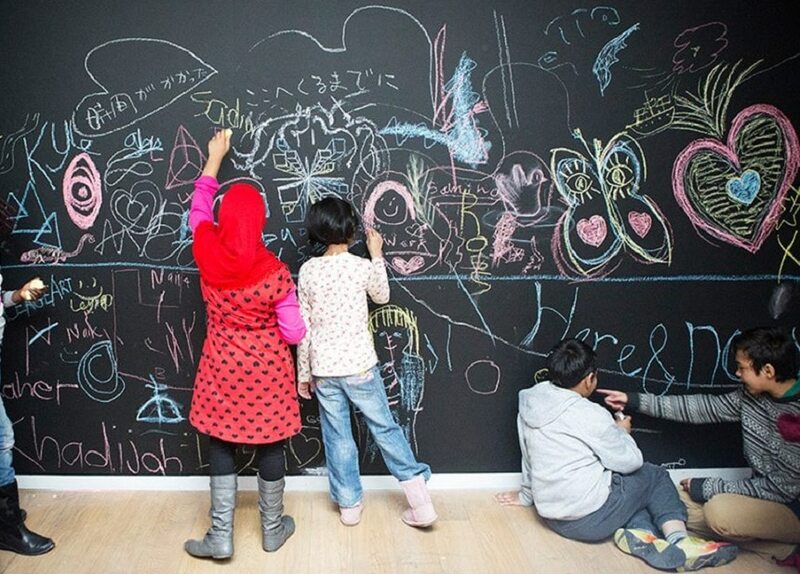 Bluecoat caters to families all year round and their unique Children’s Corner has a number of independent activities that everyone can have fun with on their visit. This and the stunning Bluecoat Gardens plus delicious food from Blue Coat Café makes for one of those perfect family friendly days out in the city. Working directly with children from a local Liverpool Primary School Ryan Gander has been involved with a project that explores the benefits of hands-on education. During the project Gander explored the Montessori methods of early schooling, carrying out a number of workshops involving collaborative play and independent activity. 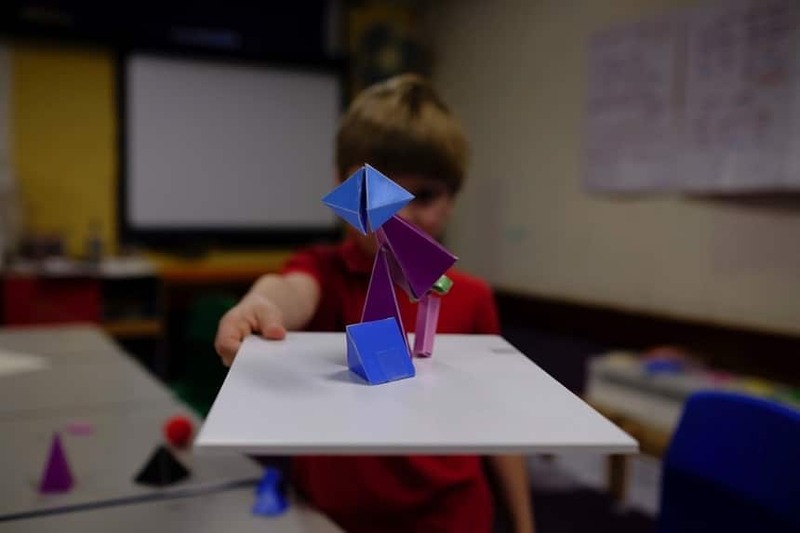 His presentation at The Bluecoat will show his findings from his time with the children as well as some of their work and what the kids and Ryan created together which will become a new permanent public art installation behind the Metropolitan Cathedral. 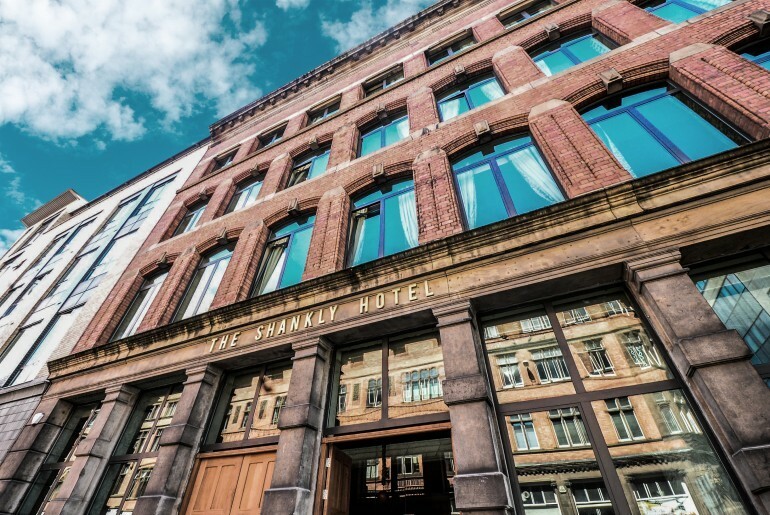 During this summer and throughout Liverpool Biennial The Shankly Hotel has superb accommodation for everyone to stay together in the heart of the city. Our family suites and interconnecting rooms give our family guests the chance to stay in one suite together with enough space to be comfortable. This combined with tasty family meals from the Bastion Bar and Restaurant’s eclectic menu and delicious breakfasts in the morning and there’s really no better place to stay when planning fun family friendly days out during this year’s Liverpool Biennial. Call 0151 601 8801 or email info@signatureliving.co.uk for more information on our family-friendly accommodation. Fathers day comes but once a year, make this day a special one for the number one man in your life. Here at the Shankly Hotel, we can offer you plenty of father’s day ideas and the perfect way to spend a full day with your dear old dad. Enjoy a hearty breakfast in The Bastion Bar and Restaurant, which doubles as a modern-day museum dedicated to Bill Shankly. 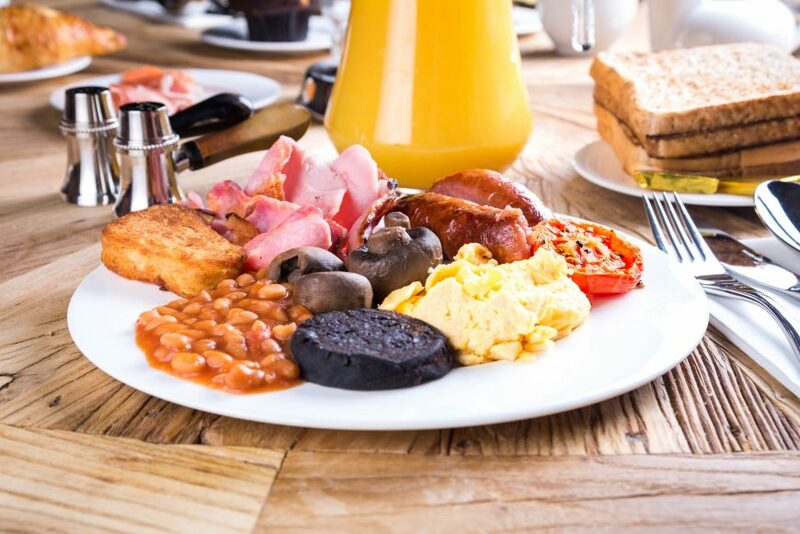 There’s simply no better way to begin father’s day celebrations, than with a delicious full English breakfast. Then after you’ve had your fill take a walk around the displays of memorabilia detailing the life and career of one of football’s most legendary managers. Read letters to and from the man himself and check out how his tactical mind worked by looking over hand-penned notes of plays and match reports, all after enjoying your morning brew. No matter if its dads first time visit to Liverpool or if you are both local, there’s plenty of things to see in and around the city and The Shankly Hotel can provide the best way to do it. Hop on a Shankly Experience Tour and tailor your adventure around the city to dads particular interests. Whether he’s a big Beatles fan, fanatic about football or simply can’t get enough culture, all our Shankly Experience Tours cover the best bits of each or we can help you tailor your own personal tour by giving you some fun fathers day ideas to try out whilst in Liverpool. Following all that fun, dad may benefit from a visit to Morgan’s Spa. 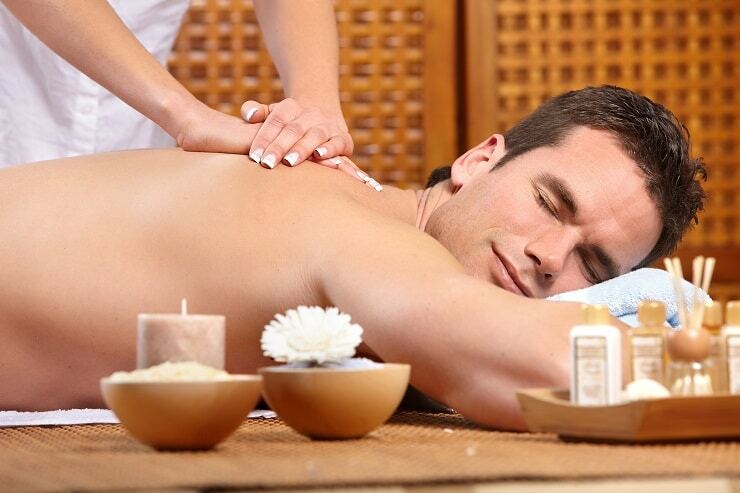 Morgan’s Spa is perfectly equipped to help you and dad spend an afternoon of relaxation together. Choose from a list of fathers day ideas like tempting treatments, deep tissues massages, energising deep cleanses all perfect for relaxing those manly muscles and the ideal way to make up for all those shoulder rides you had as a child. Before you and your dad go and check out some of Liverpool’s famed nightlife together, put your feet up and slip on your slippers in the comfort of your luxury Shankly themed hotel room. You and dad can share a suite, or spring for an interconnected one to give him a little peace and quiet. Enjoy reclining on the comfy sofa watching a bit of TV on huge 50″ screens or freshen up in the double jacuzzi bath. What better way to treat your dad than with complete relaxation, and some time off from being your hero? 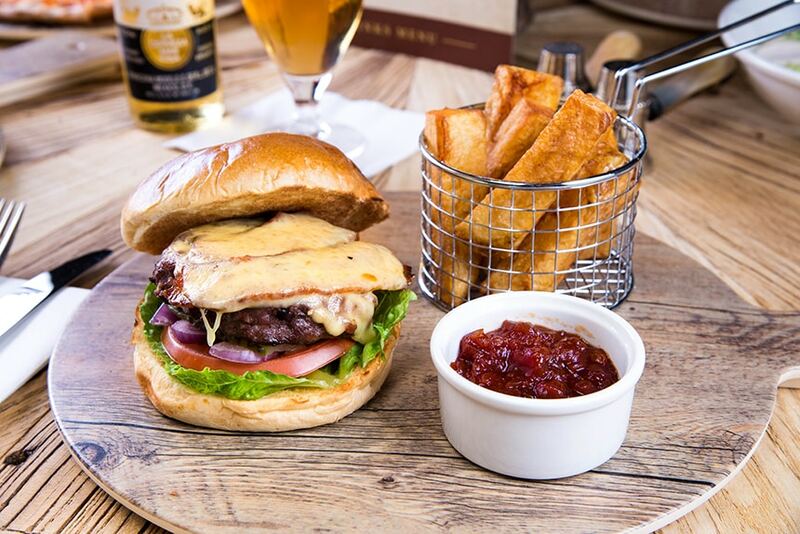 Give dad a night off from the dishes and treat him to a good scran in The Bastion Bar and Restaurant. 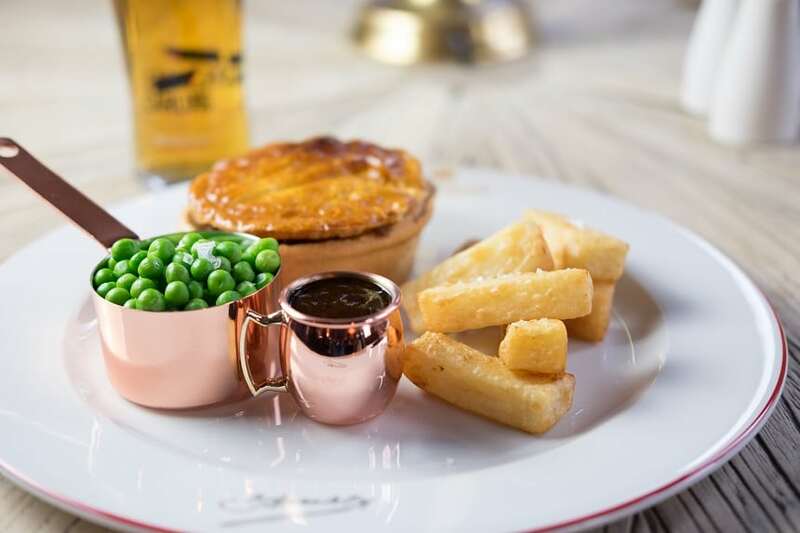 Sit down to a delicious meal and choose from an extensive menu of dishes inspired by local ingredients and Shankly’s Scottish roots. There’s a dish for everyone’s tastes including vegetarian options and, at the opposite end of the scale, an entire selection of meats fresh from the grill. Let dad know how much he means to you via the best way to his heart, his stomach. Coinciding nicely with fathers day in 2018 is Africa Oyé. A fabulous free festival that is a vibrant celebration of multiculturalism. This is one of the best fathers day ideas and comes complete with food, music, art, fashion and interactive workshops inspired by Latin and African lifestyles and culture. Take dad along to Sefton Park on the outskirts of the city and enjoy the exciting celebrations. See if you can get him dancing to the sounds of African Fusion music, or sample some of the culinary delights on offer. Take away memories from his special fathers day to last a lifetime. After a day of fabulous food and memorable moments, it’s your turn to tuck dad in for the night. Wish him sweet dreams and assure him no monsters are in his closet, maybe read him a bedtime story from the ceiling of your room all about the legend that is Bill Shankly. No doubt your father will be satisfied that his special day with you was the best it could be and you can sleep sound in the knowledge that your fathers day ideas created an amazing day celebrating your own personal legend; your dad. 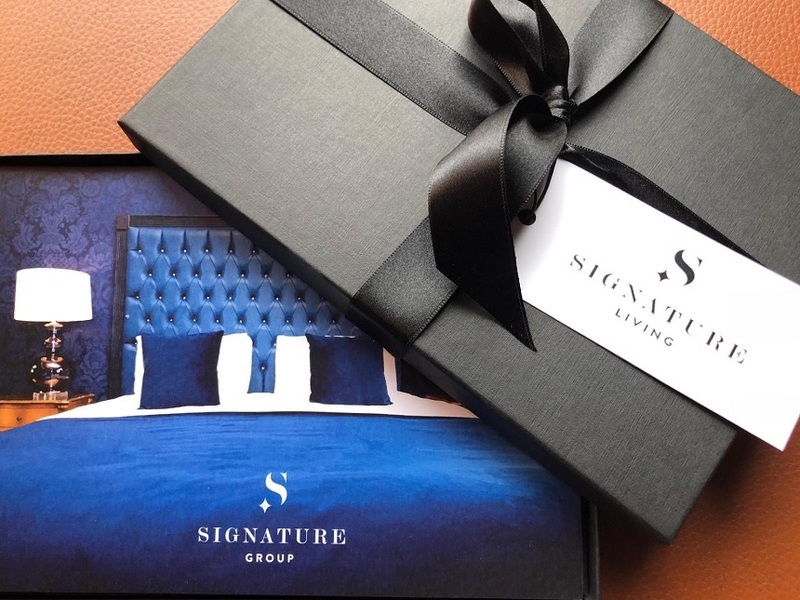 Call our friendly team soon on 0151 601 8801 or email info@signatureliving.co.uk, to book and stay with us and get some more fathers day ideas and make this the best fathers day ever. 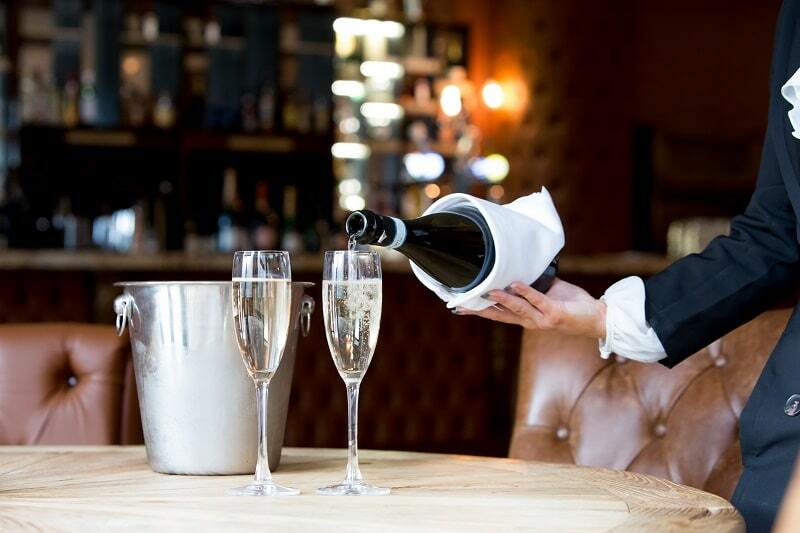 Whether its an excuse to get the family out of the house, a romantic break for two or a wild night out on the town, The Shankly Hotel have some exclusive midweek hotel offers made just for you. Make the most of your quality time together and book a stay at The Shankly Hotel using one of our exclusive couples midweek hotel offers and enjoy the romantic extras included. When date nights are few and far between this offer is ideal for couples wishing to enjoy each other’s company in style and luxury. 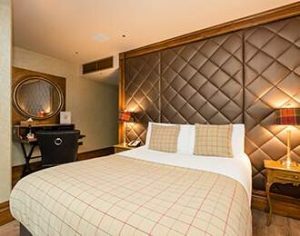 Book to stay in one of our spectacular Shankly Hotel rooms and share an indulgent dip in the double jacuzzi bath whilst you toast to your love with a glass of bubbly on arrival. 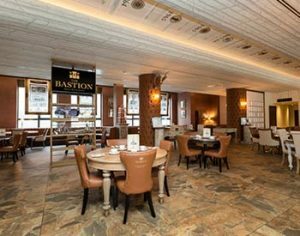 Spend a long lazy lie in the next morning before heading down to enjoy a delicious full English breakfast or continental buffet in The Bastion Bar and Restaurant. The evening is yours to do as you please, spend a cosy night in watching movies together, enjoy a show at the nearby theatre or explore the city nightlife together hand in hand. The Bubbles and Breakfast offer is yours for just £99 per couple. 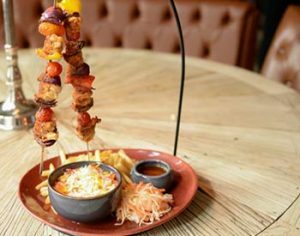 If you’ve got the time together don’t waste it walking around looking for restaurants, instead, why not book to stay at The Shankly Hotel with our exclusive midweek Stay and Dine offer? Enjoy a relaxing evening in where we will take care of preparing you and your special someone a delicious two-course meal in The Bastion Bar and Restaurant. Following your meal take a stroll around the nearby St John’s Gardens or enjoy a nightcap at the bar before making yourselves comfortable in one of our stunning Shankly suites. 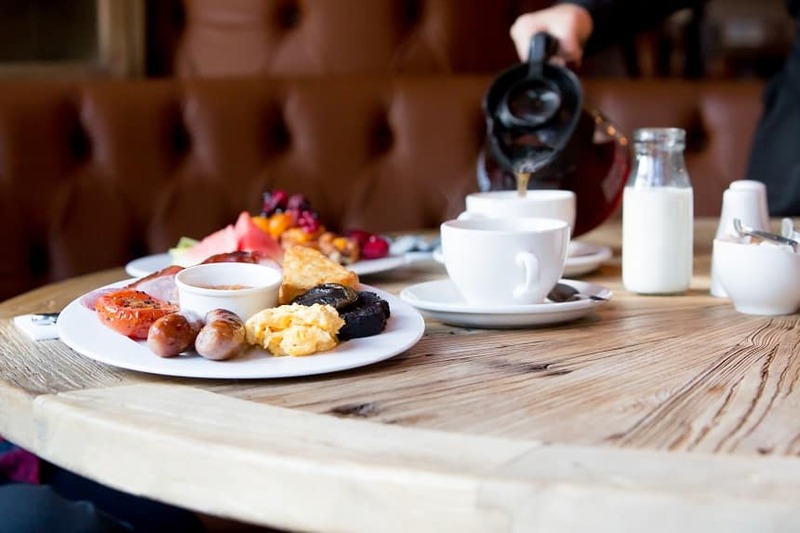 When you wake, a full Shankly breakfast will be waiting for you in The Bastion Bar and Restaurant before you head off to explore the city, do some sightseeing or perhaps indulge in some retail therapy. The Shankly Hotel is perfect for discovering the best bits of Liverpool and better still this entire offer is just £138 per couple. Escape together on a relaxing mini city break that’s indulgent and affordable by booking our Stay and Spa offer for two. 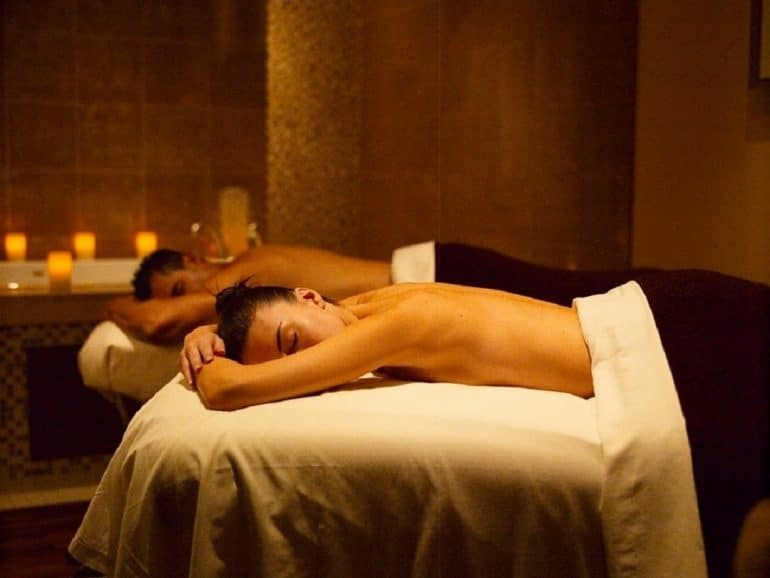 Join us in Morgan’s Spa, one of Liverpool’s top city centre spas where you and your partner can enjoy a 30-minute treatment of your choice as well as two hours access to the rest of the facilities. 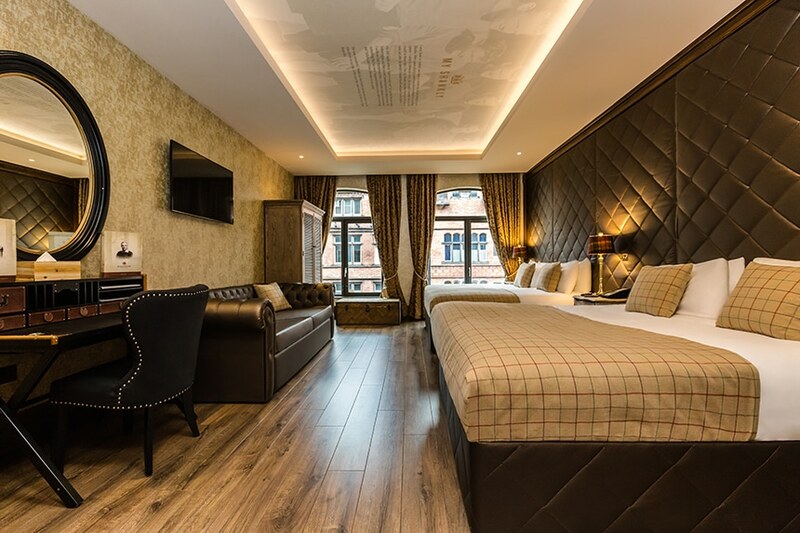 Return to The Shankly Hotel and stay the night in a luxury suite where you can enjoy winding down for the evening or getting ready for a visit to any of Liverpool’s top bars and restaurants. After you wake the following day you and your loved one can enjoy a leisurely breakfast in The Bastion Bar and Restaurant and all for just £158 per couple. Do you struggle to organise the perfect date night? Or perhaps you have someone special to spoil for a birthday or anniversary? Then let us provide the ultimate date night treat by making sure everything is perfect for you and your special someone at The Shankly Hotel. 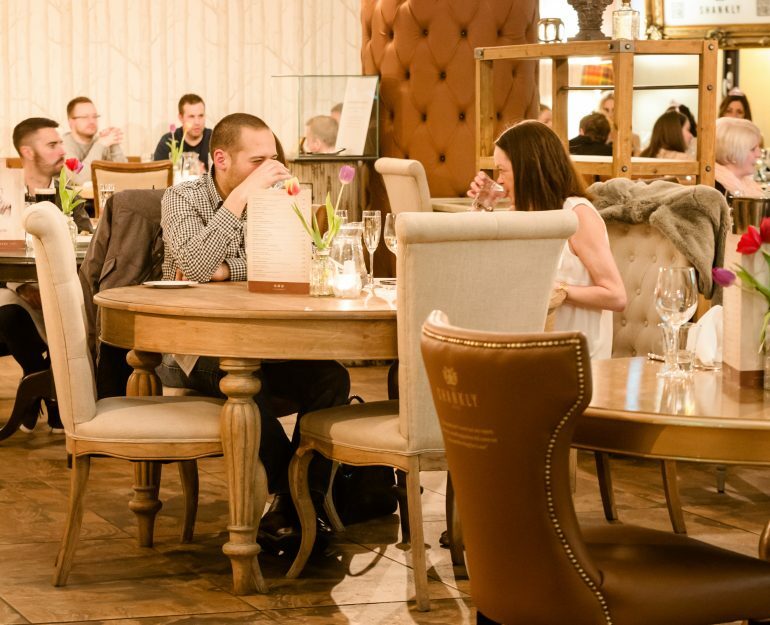 Using our Date Night offer you and another will be treated to a delicious two-course meal in The Bastion Bar and Restaurant, followed by a luxury overnight stay in one of the exquisite Shankly Hotel suites. The best part is we will even arrange a special surprise to greet you on arrival. 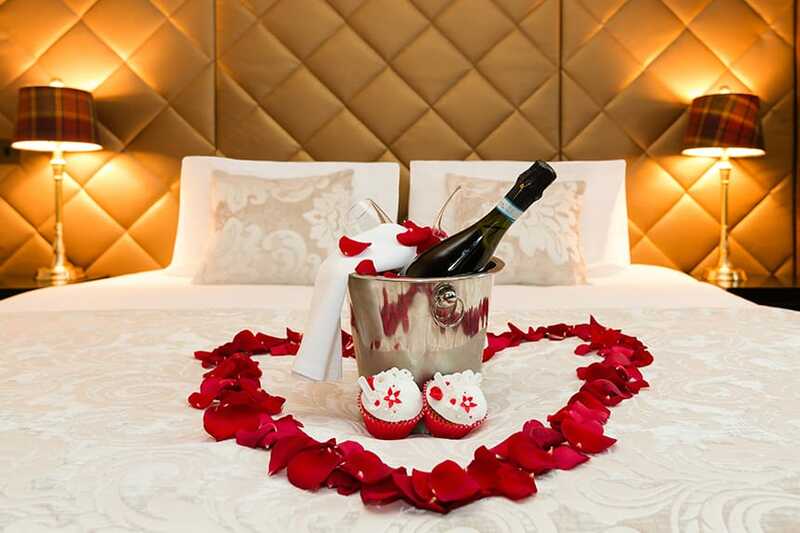 Our Love Suite Love package includes artistically scattered rose petals, two delicious cupcakes and a bottle of chilled bubbly, all waiting in your room. 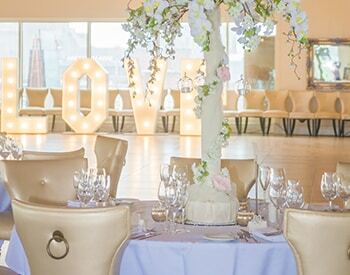 We go to the extra effort so you don’t have to on your date night and for just £169 per couple, you can arrange an unforgettable evening for just the two of you. Calling all groups of guys and girls. 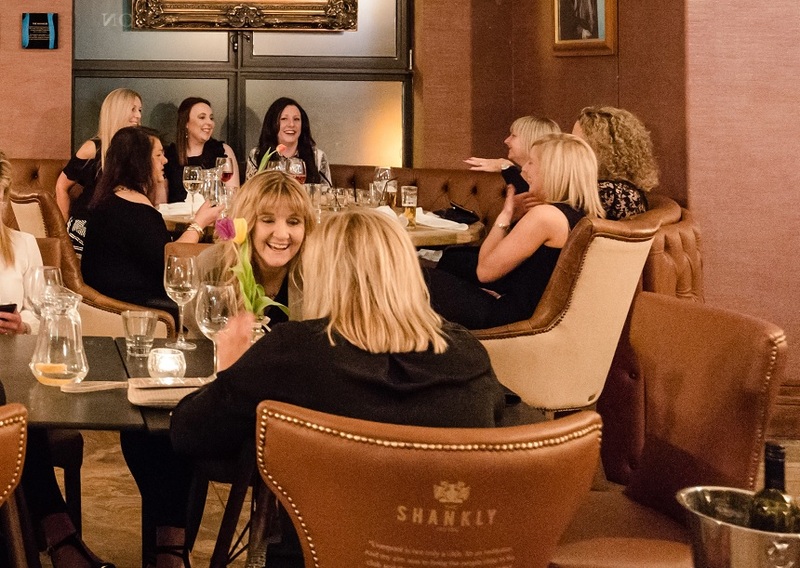 If you have a special get together that needs celebrating in style why not book to stay in the centre of Liverpool and enjoy a wild night out in the town, from the comfort of The Shankly Hotel. Guys, we’ve got you covered with a superb city centre break. Get the lads together to enjoy an overnight stay in one of our super stylish Shankly Suites. Before you head out for a long night of partying make your way to The Bastion Bar and Restaurant to enjoy a round of beers and burgers and chose a Signature Experience to kick start the evening. 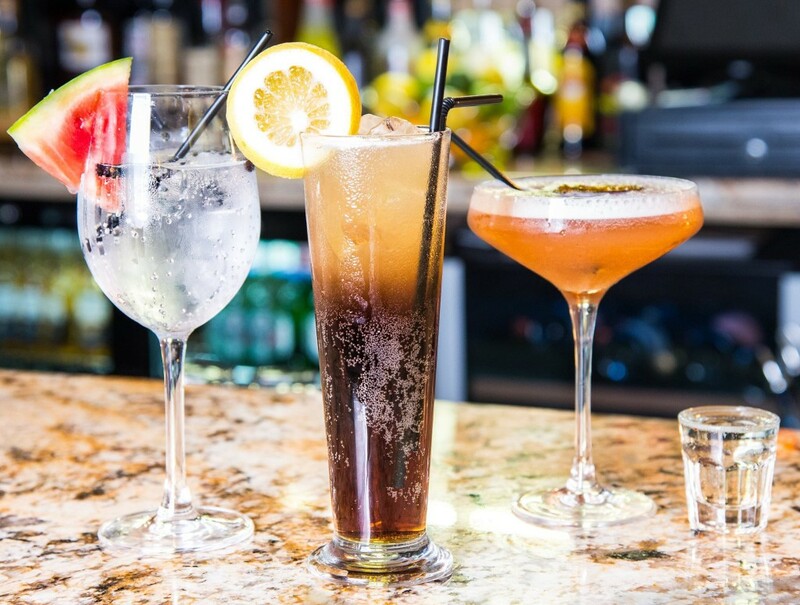 From whiskey and rum tastings to gentleman’s club access and a selection of sporting options, we will make your stay memorable with the Ultimate Boys Midweek Break offer, just £79 per person. 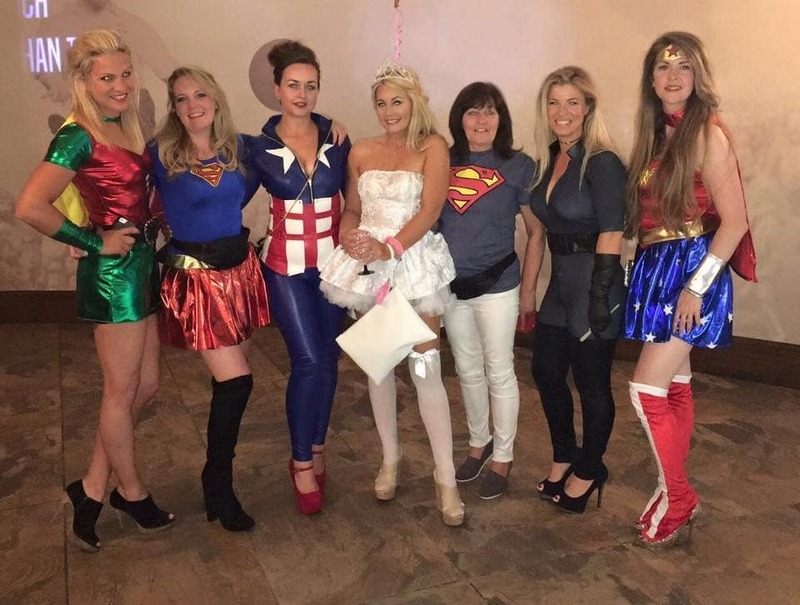 Her come the girls and they are ready to party with our Ultimate Girls Midweek Break. Stay in one of the chic and elegant Shankly Suites with all your nearest and dearest in one room. 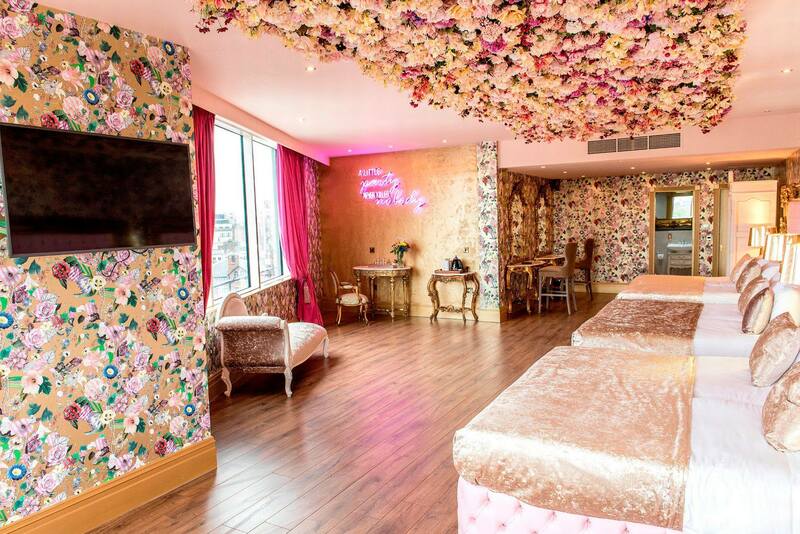 Enjoy getting dolled up in the stunning ensuite bathrooms before sitting down to a delicious two-course meal followed by a private cocktail masterclass to start your girls night out in Liverpool with a bang. 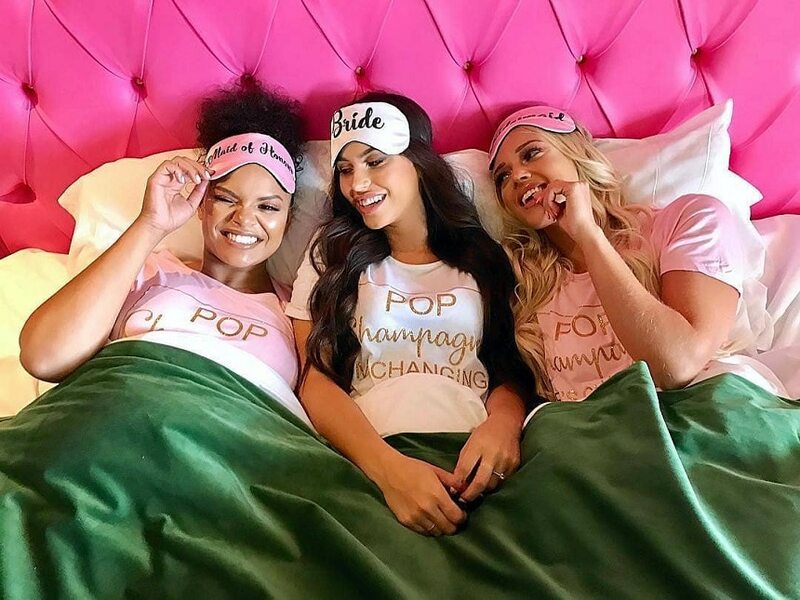 Thanks to the central location of The Shankly Hotel, no matter where you chose to spend your girls night out you are never more than a short walking distance from your hotel room. 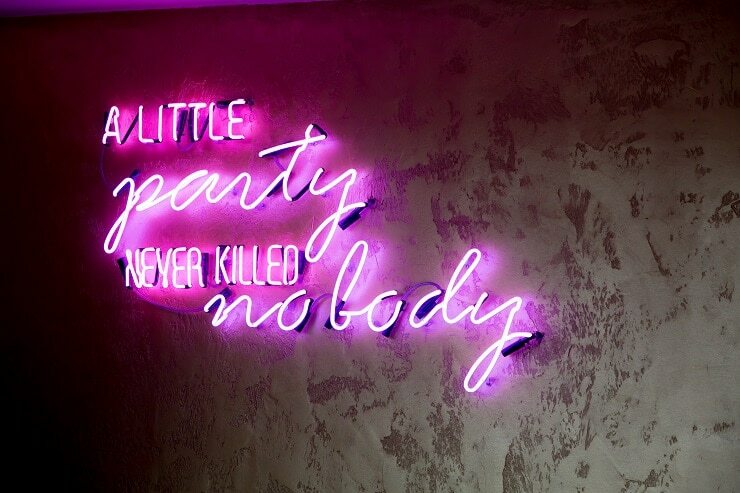 This means no sore feet and longer to spend dancing the night away and for just £89 per person, it’s a no-brainer really. Break the boredom of the usual family weekday cycle and join us at The Shankly Hotel where we have crafted two midweek hotel offers especially for families. If you and the kids are aching to see the latest cinema releases then why not make a break of it and book a Cinema and Stay offer at The Shankly Hotel. Bring the gang together for an evening in Liverpool and stay in the cities only football-themed hotel. Whilst you’re with us take a trip to the flicks to watch your move of choice at Liverpool One ODEON, just a short walk away from The Shankly Hotel. 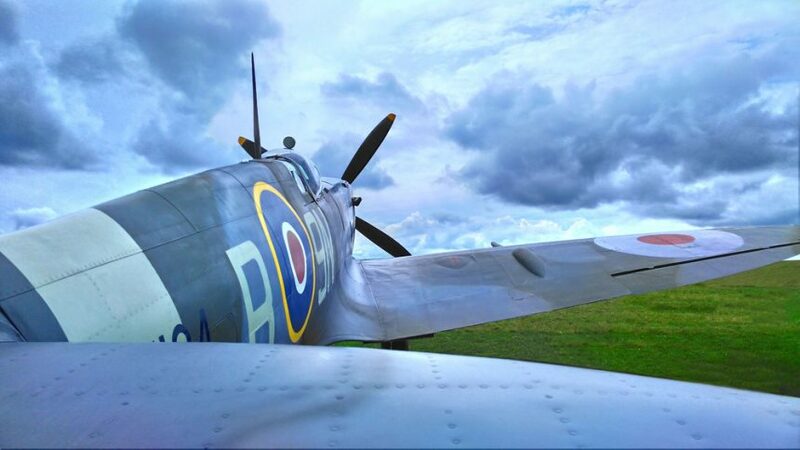 We’ll organise two adults and one child a trip to the cinema and an overnight stay for just £149 per family. 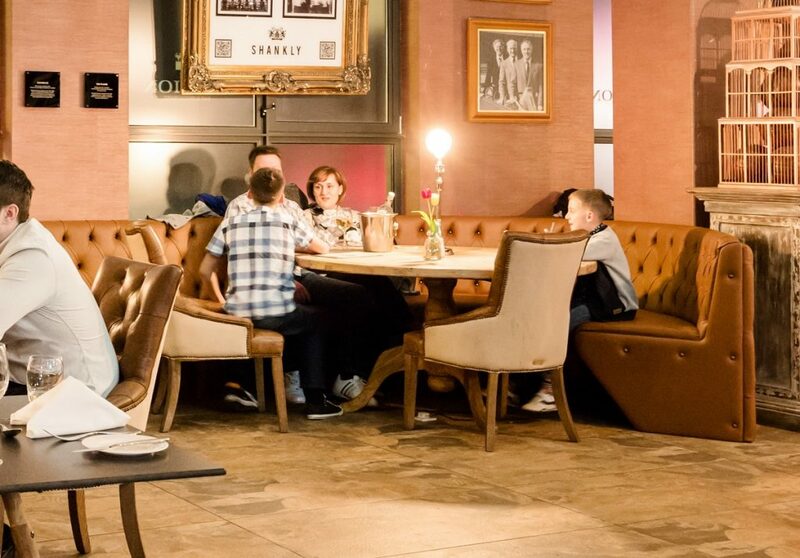 And don’t worry if your family is a little larger as extra children’s spaces are just £20 more and we have plenty of spacious family suites with enough beds for everyone at The Shankly Hotel. Worried about school the next day then instead of staying over why not just treat the kids to a meal and give mum and dad a break from the dishes and cooking? 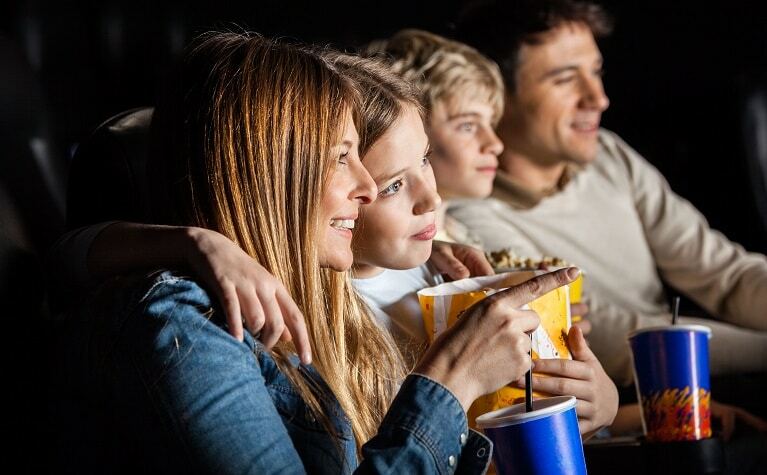 Enjoy our superb Special Cinema offer for just £30 per person and receive a tasty two-course meal in The Bastion Bar and Restaurant, a glass of Prosecco or a beer for mum and dad and mocktails or soft drinks for the little ones. All this plus tickets to see the blockbuster of the moment at Liverpool One ODEON. 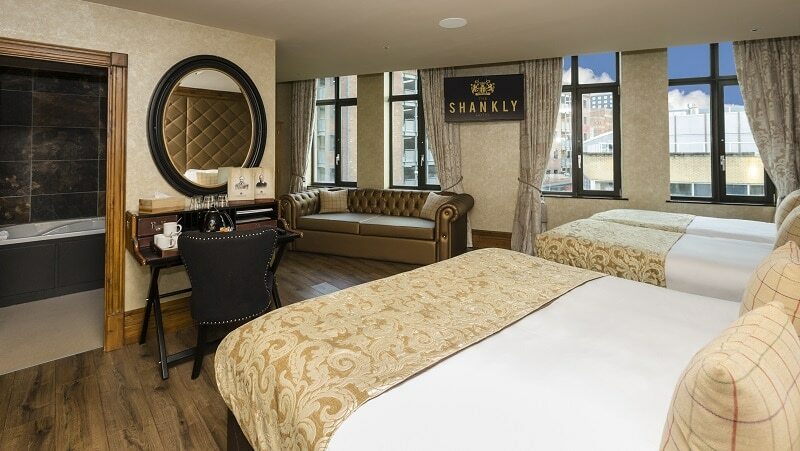 There’s nothing we can’t do at The Shankly Hotel and when it comes to providing unforgettable stays in the city our unique Shankly themed hotel is a winner every time. Join us no matter what your occasion using any of our tailormade midweek hotel offers and we’ll make sure that you, your family, your friends and your special someone will all have a great stay at The Shankly Hotel. Call 0151 601 8801 or email info@signatureliving.co.uk for more information or to book your stay. Or you can simply arrange your booking here by finding our exclusive midweek hotel offers and stays. The Reds have made it to the semi-finals and are up against old foes Roma, a team they haven’t played against in 34 years. To celebrate this momentous Liverpool game The Shankly Hotel have some excellent match day offers for the fans to enjoy. The excitement in the city is almost as hot as the weather and to help our football fans really get into the Champions League spirit we’re inviting them to join the Champions League Club for the last few games of the season. Join us at the Bastion Bar and Restaurant and watch the Liverpool game this Tuesday in style, after all it is the Champions League semi-finals. 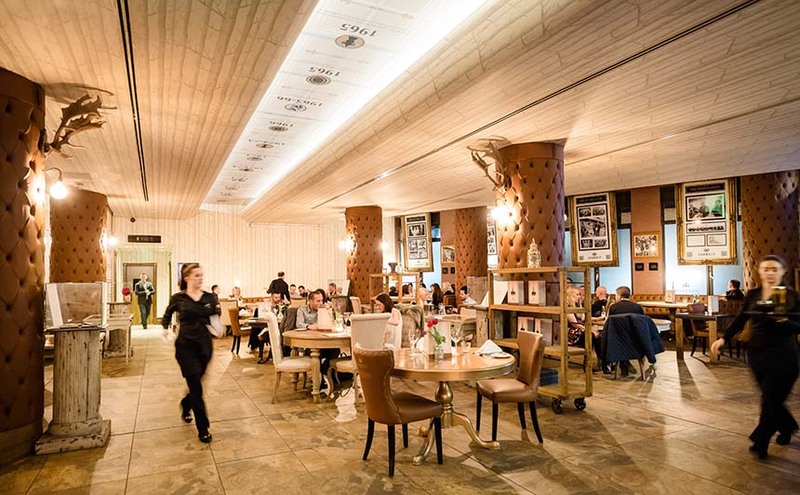 Make your way to The Shankly Hotel on the 26th of April and enjoy food and drink on arrival, in the form of a juicy burger and beer, then take a seat in the buzzing atmosphere of The Bastion Bar and Restaurant. Here the Liverpool game will be shown on huge screen TV’s all around the bar for all to see and live entertainment will be provided before and in between the game. Bring the family along as the little ones can eat for free, and this is a Liverpool game every football fan should get to enjoy, no matter how big or small. There will also be exclusive match day offers including giant 4-pint pitchers for just £10, 5 bottles of larger for £12 and the option to double up on house spirits for just £1 more. 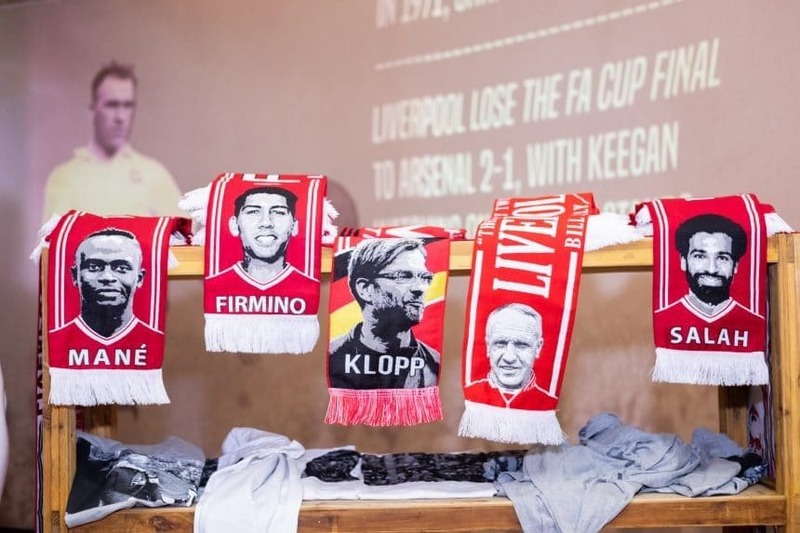 This is just one of the ways we like to spoil our customers at The Shankly Hotel giving the people of Liverpool what they want, the best place to watch the Liverpool game in the heart of the city. Only in town for one Liverpool game and it’s the semi-finals? If so chose the Bastion Bar and Restaurant and bag yourself a great seat to watch all the action. 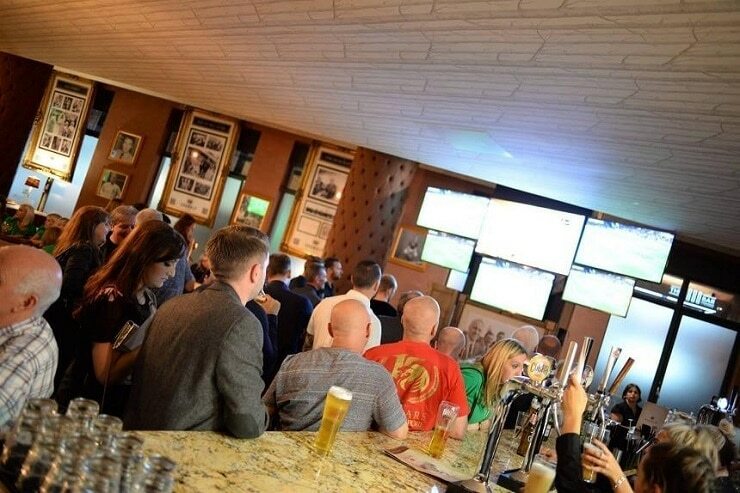 Not only does the Bastion provide a comfortable and welcoming atmosphere for each and every football fan, there are some terrific in play offers to take advantage of at the bar. 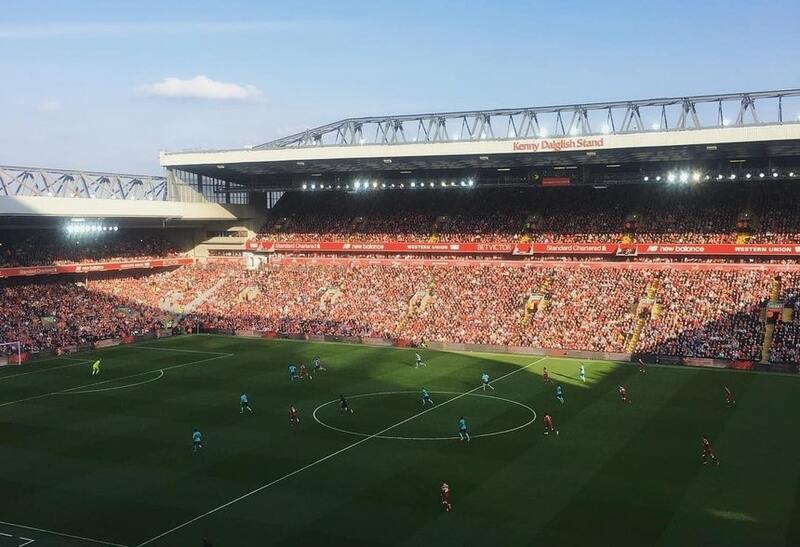 Of course, it’s always a great thing when Liverpool are in a winning position, but that gets even better when you’re watching a Liverpool game in the Bastion. If the Reds are up at halftime, the prices of the drinks go down as selected drinks become buy one get one free. Should Liverpool be skilled enough to score the first goal then its time to celebrate with buy one get one free on any shots at the bar? At the end of the game, when the final whistle blows and Liverpool are victorious by one get one free will continue on for an hour more to help toast the Reds success. Better still, all customers who are watching the Liverpool game in the Bastion Bar will be given a special 50% discount off the Bastion Restaurant menu to use on a meal anytime during the following week. The Shankly Hotel has become the go-to place to watch the football in Liverpool and it’s little wonder why. The entire hotel is dedicated to preserving the legacy of footballs greatest player/manager Bill Shankly. From the moment you step into The Shankly Hotel guests are greeted by endless displays of Shankly memorabilia relating to the great man and his career. People are invited to look over a rare and extensive collection of Shankly archives and keepsakes that was kindly donated by the Shankly family. Everything from Bill’s training tracksuit to his handwritten tactics notes and personal correspondence with colleagues, friends, there’s even a telegraph from the FabFour. 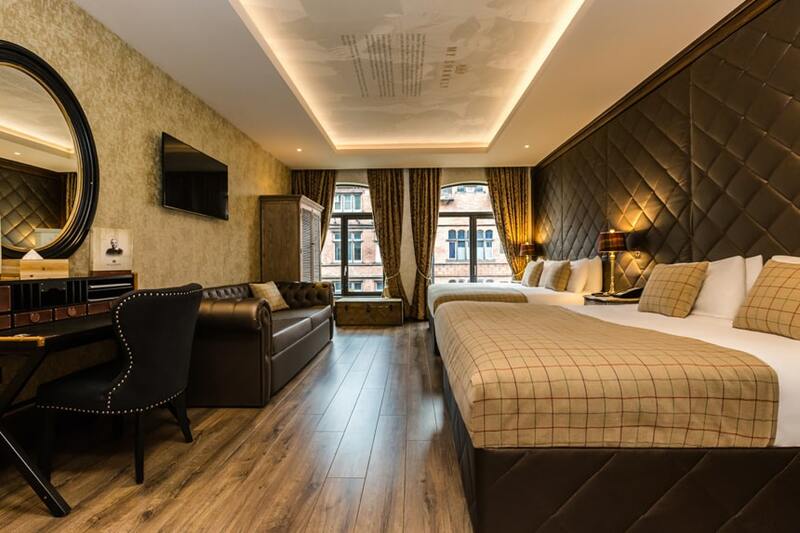 Why not make a break of the Champions League semi-finals with the family and bring everyone along for an overnight stay in any of our Shankly themed rooms? 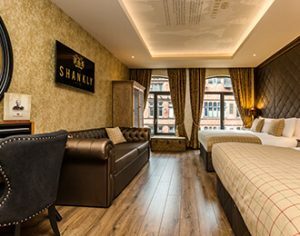 Every Shankly Hotel room is luxurious and spacious with comfortable double beds, extravagant ensuite bathrooms and facilities that will make any guests stay enjoyable. Explore the city after staying from the amazing central location of the hotel and check out the superb culture of Liverpool during your stay. With the dawn of a new year upon us, it’s not unusual to feel a little down in the dumps now that the festive cheer has faded and the reality of a long slog to brighter skies and lighter nights sets in. At The Shankly Hotel, we want to treat you to some very special January hotel offers to help you banish the January blues and start your year off right. The Shankly Hotel is one of the highest rated hotels in Liverpool, the highly coveted hotel rooms and stunning suites are the best place to go to cheer yourself up this January. Not to mention the incredible Bastion Bar & Restaurant which serves some of the tastiest food in the city. Our Winter Escape offer is the very best of the best when it comes to January hotel offers in Liverpool. Stay in one of our spacious rooms or suites for an incredible, relaxing stay in the heart of Liverpool and learn about Bill Shankly, The Shankly Hotel’s namesake and a man well-loved in the city. The unmissable deal also includes a delicious meal at The Bastion where you can choose from plenty of tasty dishes prepared by our talented chefs. Pair this with a bottle of fizz and it’s the perfect evening. Leaving your luxurious bed in the morning may be hard, but knowing you have a home-cooked breakfast waiting for you in The Bastion may make it a little easier. Your morning meal is included in the price of £119 per couple, what could be better? It’s no secret that while Christmas is the most wonderful time of year, it can also be one of the most stressful. Use the January lull to reconnect with a loved one and indulge in the ultimate date night with our Winter Warmer offer. 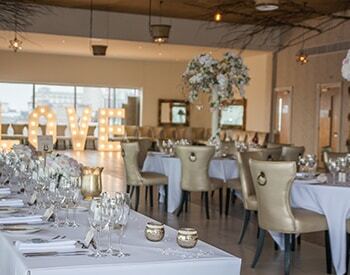 Dine in style at The Bastion with a delicious three-course meal featuring home-cooked, mouth-watering dishes fresh from the kitchen and wash it all down with a bottle of specially selected wine. 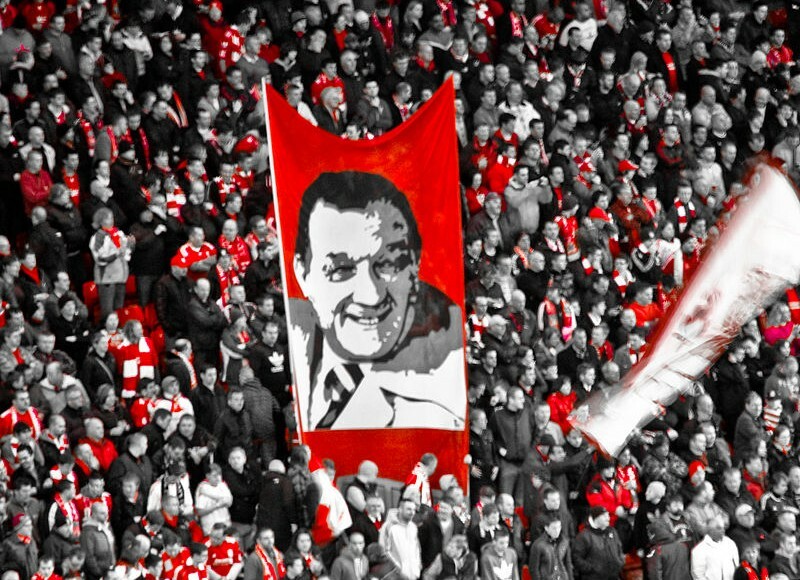 If you’re a lover of Liverpool Football Club or Bill Shankly, The Bastion is the place to be. 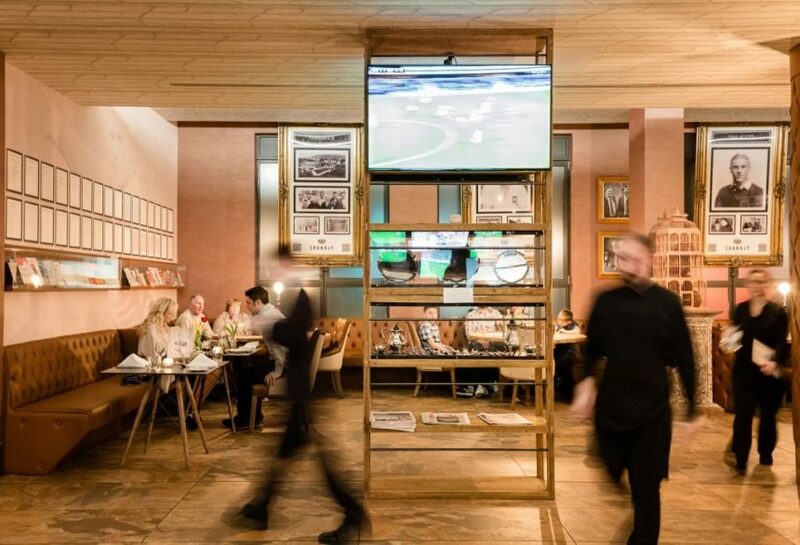 With Shankly memorabilia donning the walls and showcased throughout the restaurant, you’ll be able to learn more about the man who changed Liverpool Football Club forever. Even if football isn’t your thing, you’ll be delighted at the plush furnishings and stunning design, as well as the outstanding service that our guests have come to expect. 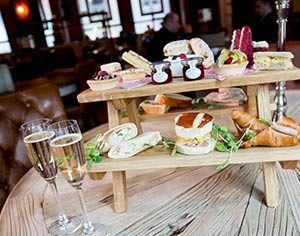 At The Bastion Bar & Restaurant, we’ve mastered the art of impeccable Afternoon Tea and for January 2018, we’re offering two-for-one afternoon tea for a decadent treat. 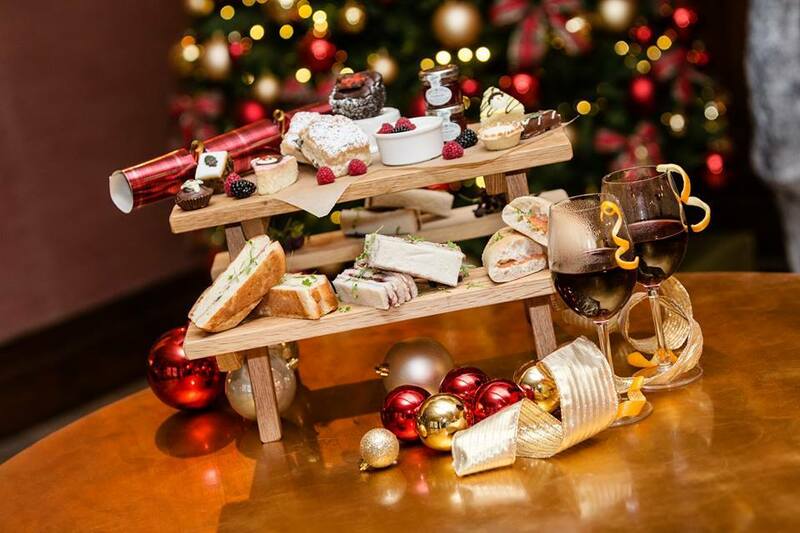 The delicate finger sandwiches, sweet treats and scones are perfect for celebrating a special occasion or just as a New Year boost. The Shankly Hotel’s in-house restaurant offers a spectacular dining experience unlike anything else available in Liverpool. It’s a moment not to be missed and our Tea for Two offer presents the perfect opportunity to treat yourself this January. Don’t miss out on The Shankly Hotel’s limited availability, January hotel offers, call us on 0151 541 9999 to speak to our friendly and helpful staff and make the most of the start of a new year in Liverpool.